Triptex Ltd is an expanding business, focusing on our customers. 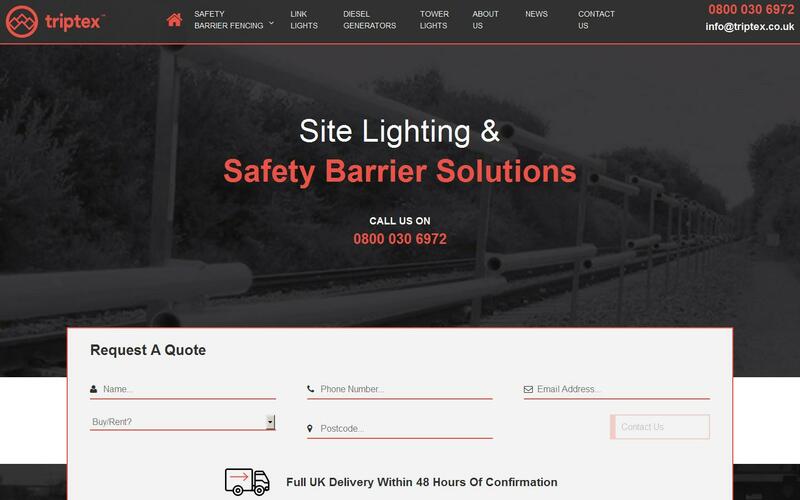 We provide practical solutions for site lighting and safety barrier solutions across the UK. We have an innovative approach to our service and quality, with a 48 hour delivery service.